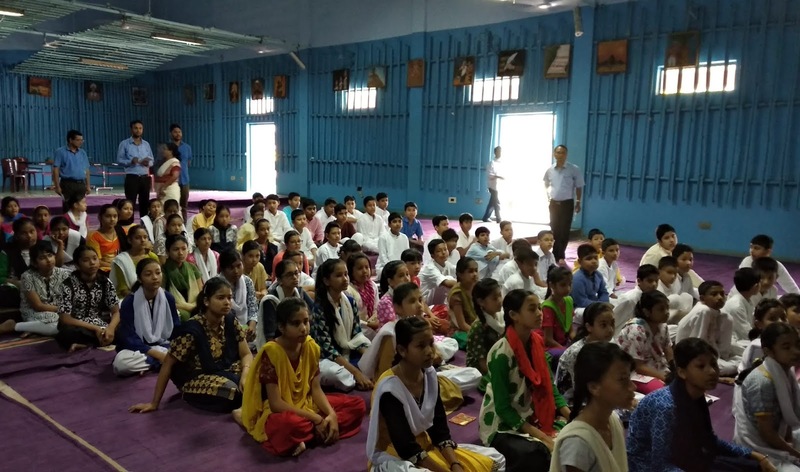 A PERSONALITY DEVELOPMENT CAMP for the class 6 students was held for five days from the 22nd to the 26th of May 2018. 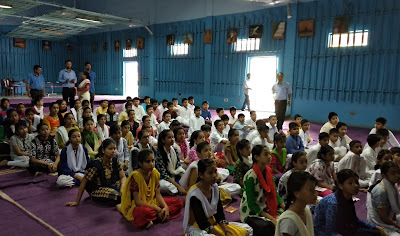 The camp started off with the Prarthana followed by the inaugural speech of the Principal Sir which consisted of a few words on the purpose of the camp, advice to learn about Swami Vivekananda and his virtues to the utmost and the ways to become a good citizen of the nation. 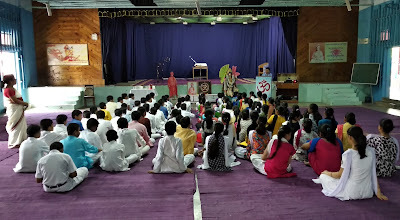 Following this, the other programs of the camp kicked off beginning with the Bouddhik Satra followed by the Bouddhik Vishleshan, Karyashala, Yogabhyash, Alpahar, Geet/Bhajan Slokabhyas, Sanskar Varga, Bhajan & Meditation and ended with the Kendra Prarthana. The concluding ceremony of the camp began with the Mangalacharan followed by the welcome speech by Shri Dhan Pradhan, Vice Principal of VKV Golaghat. This was further followed by the Shivir geet which was then followed by the sharing of the camp experience by two representatives from the students Himanshi Todi and Tushar Cobra. Further, the concluding ceremony included Bhupendra Sangeet by Abhishmati & Co followed by a speech by the Chairman of Vidyalaya Managing Committee, Golaghat Shri Prakhyat Duwara. This was further followed by a Surya Namaskar, Shri Ratul Sir's Samaj and finally it concluded with the Shanti Mantra by Meghali didi. Altogether, the camp was a successful one resulting in lots of positive hopes among the school fraternity.